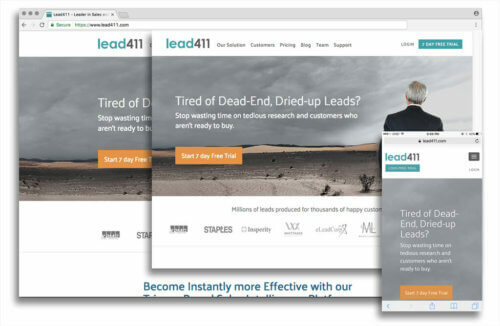 Lead411 is a B2B Marketing/Sales Intelligence platform. I provided WordPress theme improvement. This project included adding fixed background images, style refinement, and making more content areas editable.